A tale of espionage, love and passionate heroism. Inspired by true events, this is the story of how society's 'lovely ladies' won a war. But is Miss Lily heroine or traitor? And who, exactly, is she? I adored this book - it had me sucked in from beginning to end. The character of Sophie is ever changing, complex, and brilliant and the book takes you so far deep into the history of World War One you could believe you're there. I couldn't put it down! Great read. Covers so many different life experiences and beliefs. The real atrocities and challenges of war are brilliantly displayed. A real page turner. I enjoyed this book enormously. 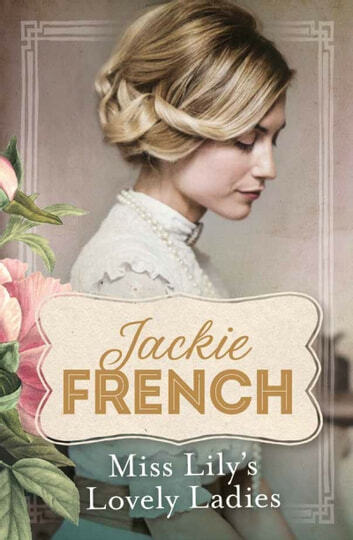 Jackie French has woven an intriguing tale that demonstrates the limits and strength of women before WWI, and how they rose to the challenges the war brought to the UK, France and Germany. Overnight lives and friendships were altered and challenged by borders, while society attempt d to continue life as usual. Looking forward to reading the sequel next. I was captivated by this book from start to finish.